In order to obtain high quality extruded potato chips, the vacuum microwave dryer was used to optimize the process of potato chips. On the basis of single factor experiments on the effects of moisture content, vacuum degree, microwave power and heating time on the quality of vacuum microwave dried potato chips, quadratic regression orthogonal rotary combination design was used to optimize the technological conditions of vacuum microwave dried potato chips. The results showed that the appropriate moisture content, microwave power and heating time could increase the expansion rate and brittleness of potato chips, and high vacuum was more conducive to the expansion of potato chips. The optimum combination of vacuum microwave drying parameters was as follows: pre-drying potato chips moisture content 31.23%, microwave power 771.38 W, microwave heating time 39 s. The space is 0.085 MPa. China is the largest producer of sweet potatoes in the world, with a planting area of 6 million Hm2 and a total output of nearly 126 million tons. However, due to improper storage, about 15% of the sweet potatoes are rotten each year, resulting in huge waste. Therefore, vigorously developing sweet potato deep processing and increasing its economic added value is imminent. At present, the main methods of processing sweet potato crisps are as follows: (1) beating sweet potatoes into mashed potatoes, adding additives such as expanders to wake up, and then drying them in hot air; (2) using sweet potato powder as raw material, adding other ingredients, drying to obtain sweet potato crisps. These two methods are not directly processed by fresh-cut sweet potato chips, but by adding food additives in the process of processing; (3) Processing sweet potato chips by microwave is also processed by reconstructing sweet potato puree. 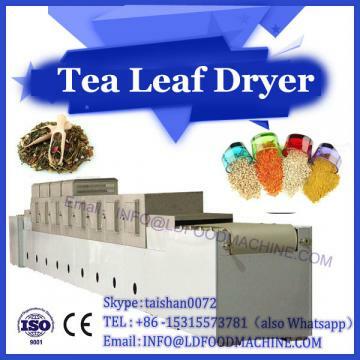 Vacuum microwave drying is a combination of vacuum drying and microwave drying, giving full play to their respective advantages. In vacuum environment, the heat transfer of water or solvent molecules is relatively easy, which greatly shortens the drying time and improves the production efficiency. 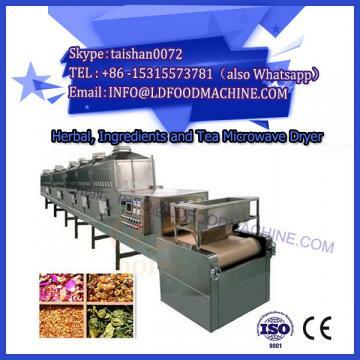 At present, vacuum microwave drying technology has been successfully applied to vegetable and fruit processing. For example, the University of California uses vacuum microwave drying technology to produce dehydrated expanded grapes, which can maintain the flavor and color of fresh grapes well, and the grape shape does not shrink. France uses the vacuum microwave dryer made by international microwave company (2450 MHz, 48 kW) to process instant orange powder. The product not only keeps its original color, aroma and flavor, but also maintains its vitamin content much higher than spray drying. The results showed that there was no uneven heating during the drying process, and the processed products were superior to the hot air drying method in terms of taste, flavor and rehydration rate. Vacuum microwave drying of cranberry was studied. The results showed that microwave combined with vacuum drying could not only accelerate drying speed, but also prevent shrinkage and deformation of drying products by internal vapor pressure difference, and increase rehydration by forming porous structure by capillary action. Vacuum microwave drying was applied to the drying of carrot. 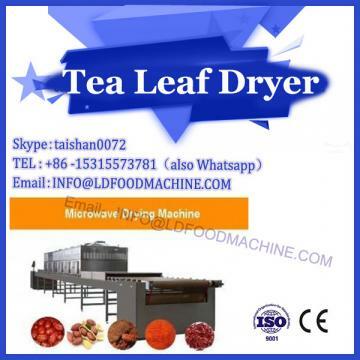 Compared with hot air drying, vacuum microwave drying has shorter drying time, lower oxygen content and less loss of carotene. Vacuum microwave drying of sweet potato slices was carried out. On the basis of single factor experiment, quadratic regression orthogonal rotation combination design was used to optimize the process conditions of vacuum microwave drying of sweet potato chips by response surface method. Nonlinear mathematical regression models of expansion rate and brittleness were established respectively, and the effects of various experimental factors on the expansion rate and brittleness of sweet potato chips were analyzed. In order to determine the best vacuum microwave drying technology of sweet potato chips, the production of high-quality sweet potato chips.